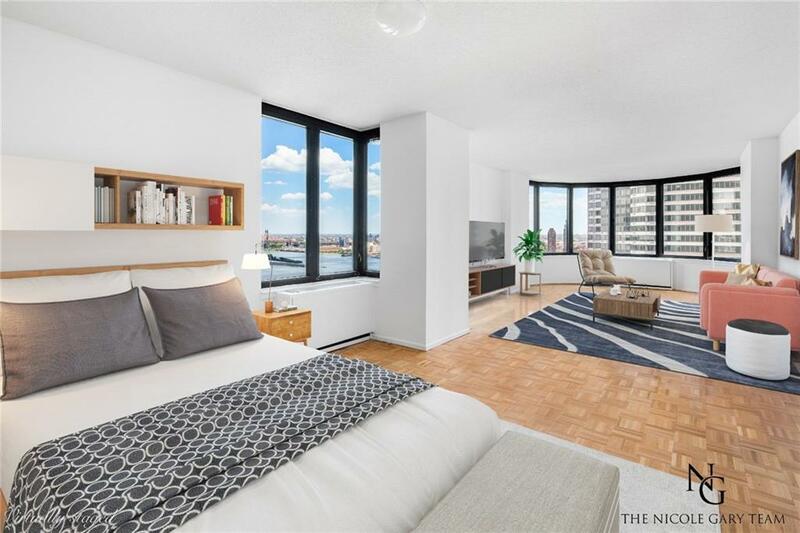 You will be blown away by the jaw dropping views and sunrises in this high floor one bedroom in the sky with unobstructed river views. 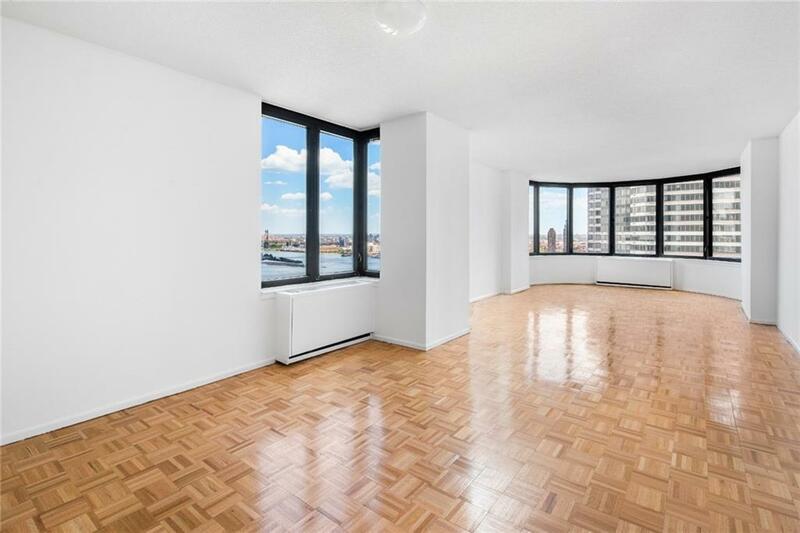 With an expansive bay of windows, you will enjoy the magical views spanning North, East and South in this gracious 1 bedroom. Wake up every morning and watch the sun rise from your bedroom and living room windows. 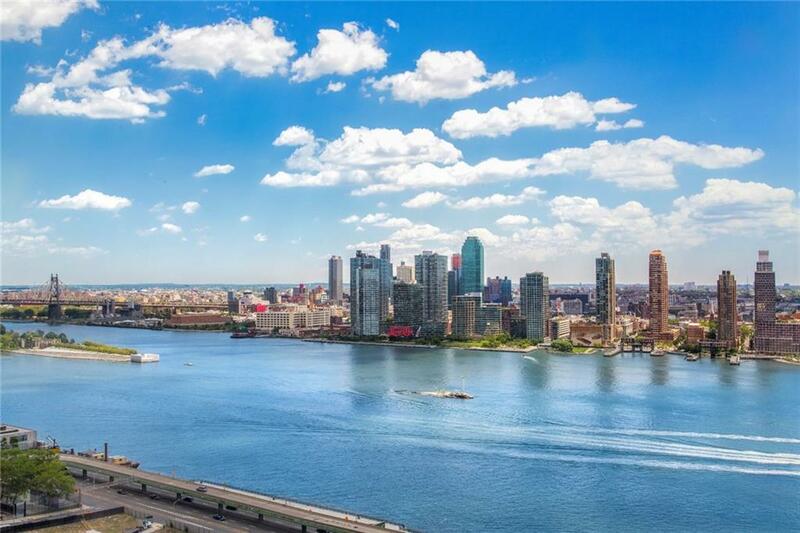 You will be the envy of all of your friends when they come over to watch the boats sailing down the east river from the comfort of your living room. 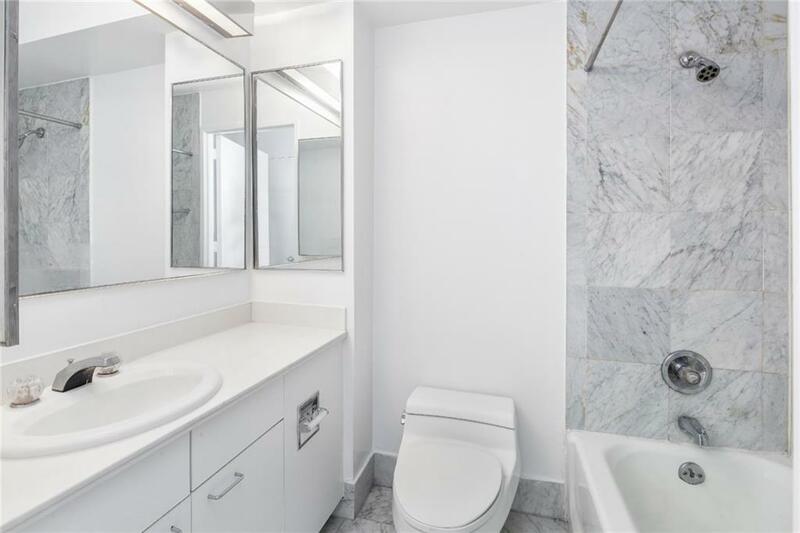 You will love the bathroom with a gorgeous marble tub and shower, marble floors and white vanity. This unit has more closet space than you can imagine. The Corinthian is located just steps from Grand Central Station, the Midtown Tunnel, FDR drive, and many crosstown buses and subways making for easy access in and out of Manhattan.This white glove 24 hour doorman and concierge building has beautiful fountains, with a covered entrance leading to a Grand Lobby decorated with rich woods and magnificent artwork. It features world class amenities that were recently renovated including 24 hours doorman and concierge service, a children's playroom and playground, adult indoor and outdoor lounge, a 17,000 square foot health club and spa including a 56' glass enclosed year round pool, jacuzzi, steam room and sauna, sun deck, running track, golf simulator, gym, exercise classes, party room, storage, dry cleaners, storage, private driveway, on site fully attended 24 hour garage & valet.